In this section we are going to install a WordPress theme and some important plug-ins for our website. The theme is the graphic design of your website and comes in a template format. It will provide the basic front-end styling for your website, including the colours, fonts and page and post layouts. There are thousands of themes available for WordPress, so you’ll be able to find one that suits the topic you’re writing about. You can find those by clicking this link: https://codex.wordpress.org/Using_Themes. People search on devices with different sizes of screens: laptops, tablets and smart phones. It’s important that the theme you pick is responsive and automatically makes viewing your website friendly for visitors, irrespective of the device they’re using. People are impatient and will not wait around for a website to load. The search engines also like websites that load quickly. There are many types of themes for eCommerce, magazine-style sites, blogs, photography portfolios etc. You want the theme that you select to be suitable for a website/blog, and in particular, your chosen topic. So when picking a theme, always make sure it’s responsive, fast-loading and looks the part for the type of website you want to create. 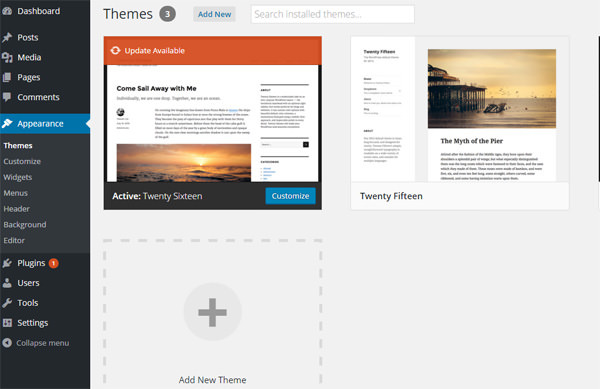 The good news is that changing a theme on WordPress takes just a few seconds. You can install one, look at it, and quickly change it if you don’t like it. There are three types of themes available: Free, Premium and Customised. 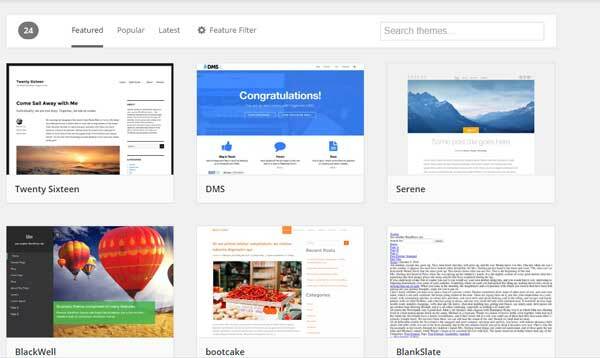 There are thousands of free themes to choose from. Most people starting out opt for a free theme: they’re reluctant to spend money, as they’re not sure if the Associates Programme will make them any money. There are many good ones available, starting with ‘Twenty Seventeen’, a popular choice for many newcomers. It’s responsive and loads quickly. The problem with anything free is that it comes with no guarantees. WordPress is always being tweaked and updated: when this happens, it can impact on your theme. Unless the theme owner updates the theme, it can quickly become out of date. It will still work, but may not allow you to add new features. Some theme owners will update their themes, others won’t. For the most part, though, the free theme option remains very tempting for the beginner, or anyone on a tight budget. At the end of the day, companies who build Premium themes and charges for them are going to be able to add more features and offer better support than someone who enjoys building themes as a hobby. If you want a theme that’s completely unique, then you can decide to pay a developer to do this for you. Depending on what you want, this is an expensive option, and is not required to build a good-quality Amazon Associates website. Some companies will want this option regardless, and will pay thousands of pounds to get this done. Which option you go for depends on what you want to invest in your online business. When I started, I used free themes, as I had no idea how all of this theme picking actually worked. There are plenty of websites out there using free themes and doing really nicely with them. I still have a few of those that do really well. They do have their limitations, though, as there are certain design features I now like to have on my affiliate websites which I can only get with a Premium theme: for example, I like to use tables for comparisons and for lists. With free themes, there are plug-ins that allow you to do that, but they’re limited in design. With a commercial theme, I can change the look and feel of my tables and add many other feature-rich elements to my website. My own belief is that when setting up any business, you have to be prepared to invest some money into it. 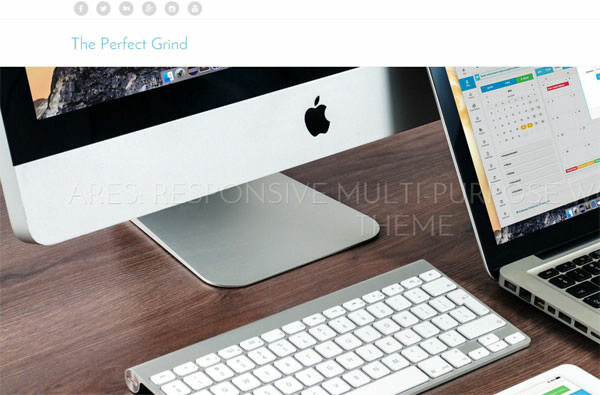 For this case study on http://theperfectgrind.co.uk I’ve used a paid theme from a company called Thrive Themes. This is my favourite theme, as it’s responsive, very fast to load and has a wide range of features I can customise. The important thing is that you pick a theme that allows you to have the design you want for your own site. This is the quickest and easiest method to use. Log in to your WordPress Dashboard and then, on the left-hand column, click on Appearance > Themes. When you installed WordPress from your cPanel account in your hosting company, a theme may have been automatically installed. Usually, this will be the free WordPress Twenty Seventeen Theme. If you’re happy with that theme, you won’t need to do anything else. Look at the image below to see which theme, if any, has been installed on your website. When you find a theme you like, you can hover over it and either install it or preview it. I usually preview it just to get a feel of the overall look of the website. If you like it, then you simply click the Install button and then the Activate button. I did this with the Ares Theme, just to show you how much a theme can quickly change the look of a website. Don’t worry about the images in the theme preview, as they can easily be changed. You should focus on the overall design and just pick one that you like. The second method is to go to the WordPress Theme Directory to find a theme you like. When you find it, you simply click the download button that appears when you hover over the chosen theme. This downloads the theme as a zip file. Choose a location to save your file, but don’t open this file, as this will stop the theme from working. Instead, log in to your WordPress Dashboard and then, on the left-hand column, click on Appearance > Themes > Add New> Upload Theme > Choose File. Now add your file from the location where you stored it. Once it’s uploaded, you simply activate it to have your new theme live on the website. If you decided to buy your theme, you should have received a download. You install that by going to the left-hand column and clicking on Appearance > Themes > Add New > Upload Theme > Choose File. Now add the file you received from the vendor from the location where you stored it. Once it has uploaded, simply activate it to have your new theme live on the website. Some paid themes may also require an activation code or a license code to activate. You should have also received that from the vendor, so follow their instructions if that’s the case. It’s your website, so you can pick any theme you like – it’s easy to change to another. You’re never stuck having to use a theme, so pick one and get started. I’ll be using a paid theme, as I like some of the extra features that come with it. The basic principles, however, remain the same – so you can still follow along. These are available in WordPress and allow you to add particular features to your site. Like the themes, there are thousands of them – if you can think of a feature you might like on your website, then chances are good that there will be at least one plug-in for it. However, the more plug-ins you install, the slower your website can become, so install only those you need. Unless you consider a plug-in to be vital, then don’t install it just for the sake of it. They cover all types of features from security, media, adding social buttons and a whole range of other site-enhancing features. It’s all too easy to get carried away with adding plug-ins because they’re quick to install and help make your website look unique. Personally, I think page loading speed is more important than a range of fancy features, so I only install those I believe to be important. At the moment, it’s not important to understand what these plug-ins do. Generally speaking, they are good for the search engines, for security and for measuring and analysis. Go to the left-hand column and click Plugins > Add NEW. At the top right, you’ll find a search box and all you have to do is type in the name of the plug-in and hit Enter. The plug-ins then appear below in boxes. You may notice another plug-in there, called Akismet. This helps you deal with any spam comments left on your website. It isn’t a necessary plug-in and to use it on a commercial basis, you need to pay a fee of around £7 a month. Many beginners simply use another spam plug-in instead, which doesn’t require payment. As I already have several websites, I pay for Akismet and then use it on all of my websites, so I’ve activated it on this one, too. You can also just leave it there without activating it, as it isn’t required. We need to change just one setting for now, on the Revisions Control plug-in. To do this, go to the left-hand column, click on Settings > Revisions and you will see two drop-down menus. Click on each drop-down menu and change the setting to ‘Maximum 2 Revisions stored’. This is to speed up the loading time of your website. When we write an article and publish it, that’s the first version of that article. If we change it in any way, then it becomes a revision and creates another file. Each time we change it, another file is added to our database. Over time, these revisions slow down your website. By installing this plugin and changing it to two revisions, it will only ever hold the last two versions of the article. You can read about plug-ins and see what else is available; you can install none, or some – but don’t waste too much time on them. At this stage, you should have picked a theme that suits the content of your website and you should also have installed and activated the basic plug-ins. In this section, I’ll show you how you can make your own website look unique and stand out. There are three parts to this process – all of them are optional. You don’t have to add any of these elements, but doing so will help make your website look unique and tailored to your needs. Below, I’ve shown the Amazon website to explain each of these. The Favicon is simply a small image that appears right beside the website name at the top of the browser. The logo is usually a simple branding logo; the Header is the section at the top that tells people what your website is about. Usually, a header is a graphic that sits at the very top of your website. Headers come in many formats such as textual, graphic, or animated images – even video can be used. The header space is one of the first things a visitor will see when they look at your page. The bottom line is: your header should simply tell people what your website is all about. A design or a symbol that helps identify a brand and what it offers. There are some very famous logos such as Nike, Adidas, and Apple etc. The important thing to note is that although a logo is not necessary, it does make your website look very professional. It’s an abbreviation of ‘favourites icon’ and as you can see from the image above, it’s a very small image that appears on the tab of the browser when your website is loaded. Again, this isn’t a requirement, but it does look great and adds an air of professionalism. Large corporations spend a fortune on their branding and most of us cannot afford that luxury. It’s unlikely any of us will ever become famous for our brand. Many people opt for the free option, as they don’t want to invest money. But branding is an artform – it’s not as easy as it looks, and can be time consuming. This is the fastest and easiest method to get good-quality headers, logos and favicons done. I use a website called fiverr.com. On there, you’ll find people who will design you a website header for $5, a logo for $5 and a favicon for $5. It’s better to get the one person to do all three, as that keeps everything consistent. So for $15 or thereabouts, you can have these created for you. If you want to go all-out, you can hire a branding company. You’ll be offered choices and recommendations, along with a full design. Be prepared to spend a lot of money, as this will not be cheap. I’ve covered a lot in this article, but the important thing is to pick a theme that you like. Add the plug-ins that you want and get your website set up to add the content – this is the most important thing. I recommend a paid theme, as it’s always supported and won’t cost you the earth. Adding a logo, header and favicon are optional extras, but they do help your website to look great. Newcomers to building a website often hesitate at this point and spend a lot of time fiddling around with themes. Don’t fall into this trap – instead, just pick a theme and get started on the content. As you become more familiar with WordPress, you’ll find adding themes and plug-ins becomes second nature. Beginners are also very reluctant to spend any money, simply because they’re unsure whether investments of this kind will work for them. For £50 to £60 a year, however, your domain name and hosting is covered – so that’s about £5 a month. 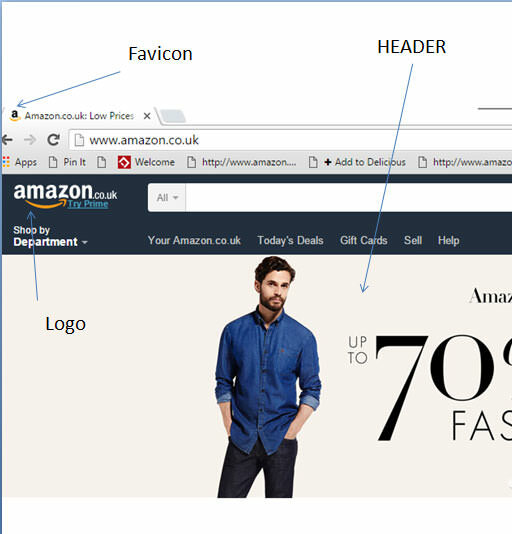 Getting a favicon, logo and header will be a further one-off cost of around £50-60. So, for about £100 and an ongoing cost of £50 a year, I doubt you will find a cheaper way of starting up a business.